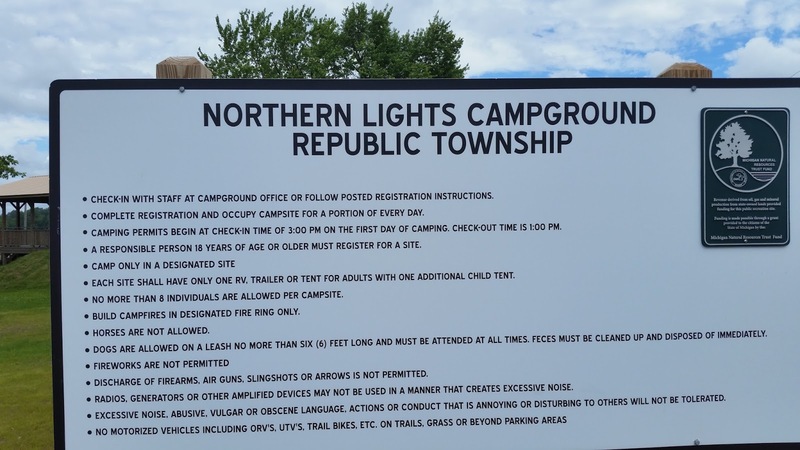 The township of Republic, Michigan got funding to upgrade the recreation facilities around the tiny town, with the project finishing up at the end of June I revisited Republic in early July to checkout the new campground. Readers of the blog may recall I had stayed at Republic's "free" campground in 2014 when it wasn't much more than a field to park in. 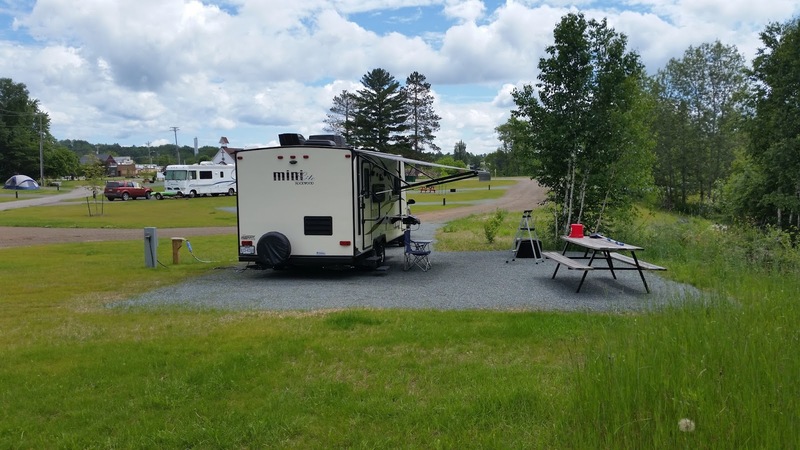 Click here for the 2014 write-up The new camping facility is quite a step up for Republic and has a new name, Northern Lights Campground. It also comes with a brand new set of rules! The Michigan DNR closed the old campground in 2009 for "lack of funding" and it still resides to the other side of a road from the new Northern Lights Campground. 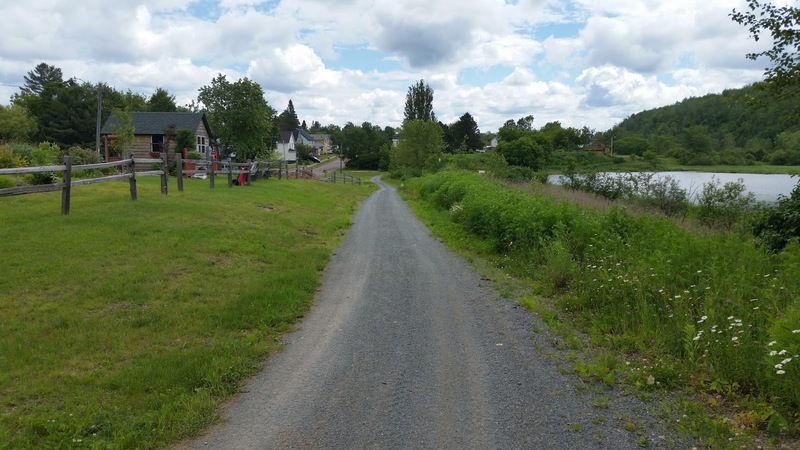 The new campground consists of 12 spaciously arranged RV sites with electric and water hookups and about a dozen tent sites with no hookups. During my stay over the 4th of July the RV sites were about half full. The Mini's campsite at Northern Lights. One of the tent sites with fire ring. Did I mention that each RV site has cable? 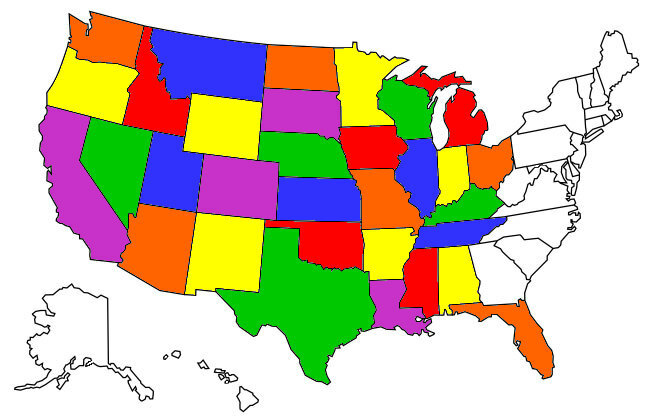 With more than 60 channels! 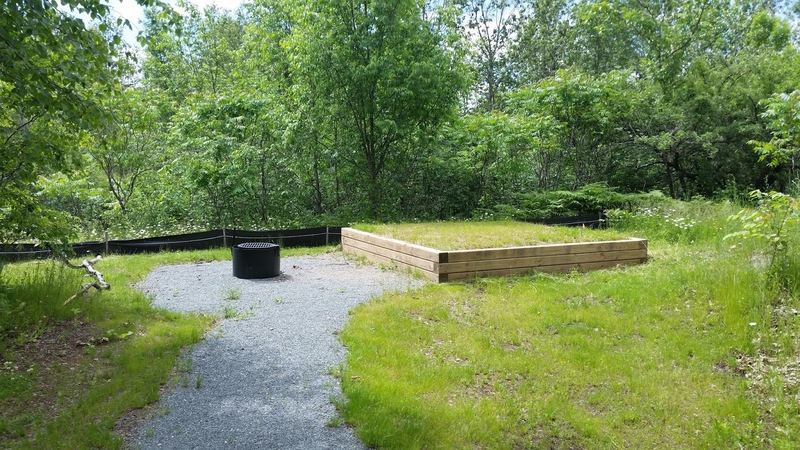 All the homes in Republic that I passed on my walks have Dish or Direct TV antennas but somehow the county (I assume that's who administers the campground) got cable into the new campground - go figure! The start of a hiking trail out of the campground. 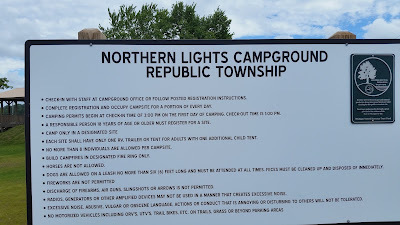 While I always hate to see a free campground go away the new Northern Lights Campground is a really nice upgrade for Republic and should bring in a lot more RV traffic to the township. I'll include it on my yearly UP camp list!